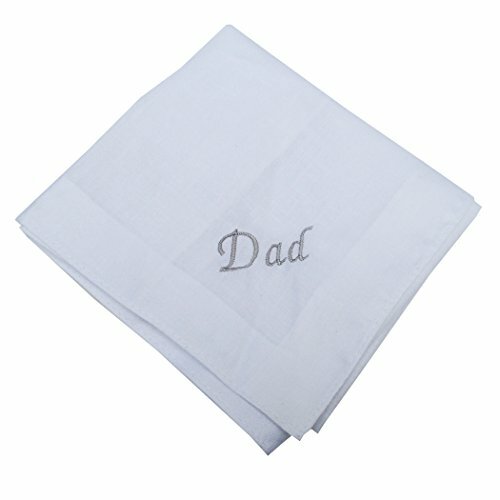 This cotton handkerchief is so soft. Handkerchief man looking to improve his sense of style. Perfect on wedding day. An eternal souvenir set to Dad which reminds that perfect day and make them feel special. The quality was great. Size 17 x 17 inches " DAD" Embroidered is in silver colored. Gift for Dad which reminds that perfect day and make them feel special. This is durable and machine wash so very environmental friendly. If you have any questions about this product by OWM, contact us by completing and submitting the form below. If you are looking for a specif part number, please include it with your message.